Everyone wants to be happier right? I feel like when most people describe their goals in life “To be happy” is always in there. But they aren’t doing anything about it now! I don’t think a lot of people realize how much power their have over their own happiness right NOW. You can live everyday at a state of joy and happiness and it just takes a little bit of initial work! I know because I’ve done it. Obviously we all know by now I’ve struggled a lot with eating etc, and that obviously is not conducive to happiness. When I went through a break up AND a back injury I felt like my entire world was falling down around me. Most people that describe me at work and teaching classes probably thought I was very happy, but I was very good at faking it for the most part back then. Now I have never been happier. I didn’t even think it was possible to wake up and go to bed at this state of joy every day. I’ve never been so excited and passionate about everything in life, and so content at the same time. I think everyone deserves to feel like this so I thought I should share some of the things I did in order to get here! 1.) I started being grateful. This is HUGE. Every night in my journal I would write down the things I was grateful for or also “3 good things” that happened to me that day. At first it was hard to list 3 good things, or be grateful for anything, I thought my life sucked! Initially I was just grateful for a roof over my head, my job, and boring things like that. Now I can automatically list about 15 amazing things that happened to me that day and I have never felt so grateful in my life. I feel SO LUCKY and blessed all the time. It really does start to have a snowball effect. Once you start looking for the good in everyday for your nightly “3 good things” is just starts getting noticeable. And easier. Pretty soon you’ll be a ray of annoying sunshine, trust me! 2.) Meditate. I used to be very against anything like this and thought it was for hippies and weird people. I was judgemental. But guess what. Learning how to clear and relax my mind has made the utmost difference to my life. Imagine if you could relax that whirring brain? Take off to a beach for 15 minutes a day and relax in the sunshine? I meditate every single day and it has increased my happiness, overall wellness by a TON. Try guided mediations like the “calm” app to start out, and I also read some books on it which allowed me to do my own meditations. It can be as simple as just focussing on your breath (hence my tattoo “just breathe”) and finding a bit of inner peace in the midst of something distressing. 3.) Set goals. LIVE THE LIFE YOU WANT. I wasn’t living the life I wanted. I was waitressing because I was scared to try to do personal training full time and thought I couldn’t. I wasn’t happy at all going into my waitressing job and it made me miserable that I wasn’t doing everything I could to chase my dreams. So I quit. No more safety net! I had to make this work. And it was the best decision I ever made. I’m successfully growing my own business and everyday just feels so amazing when I get to get up and go teach a bootcamp to a bunch of people I love, or a really fun spin class to big group of energetic people. When people tell me that I’ve helped them, and changed their lives I could almost cry from happiness! I’m doing what I’ve always wanted and I am doing it well. So don’t be scared. Don’t go to a job that that you hate everyday. Find something that you literally cannot believe you get paid for and would rather work than have a day off. 4.) Surround yourself with people that lift you up. I am so fortunate to have the group of friends that I do. (I don’t know if I tell them enough how much I love them). I have the most amazing parents and sister and friends in the whole world and I feel so grateful for them everyday! They love me and support me and I just don’t know how I used to not appreciate them. I’ll never make that mistake again! So find friends that support your true goals. If you feel like you are getting the energy sucked out of you when you are hanging out with them they are not the friends for you. The best way to find these people are to start doing what you love. As soon as I quit my waitressing job and starting training full time I found one of my closest friends who has made such a difference to my life. Do what you love, and you’ll find like-minded people. 5.) There are also little things like exercising (better than an anti-depressant! ), fueling yourself with lots of nourishing foods while still enjoying all the yummy stuff, and getting enough sleep that really help with happiness as well. Once you start loving yourself you start treating yourself better and once again- its a snowball effect. I also believe that the more happiness you radiate and put out there into the universe the more it just gets attracted to you. I truly believe that all the opportunities that have come to me lately are due to my attitude and happiness shift. How to have Healthy Holidays! I know everyone gets a little nervous around the holidays about their health with all the parties, and dinners, and drinking… but do not fear! Did you know that the average person only puts on about 1-2lbs over the entire holiday season? That’s nothing! That can be gone within a week after Christmas once you resume healthy eating. So– DO NOT STRESS AND ENJOY THE FOOD AND CELEBRATIONS PLEASE! But if you want to avoid that weight gain all together, or just feel a little cuter in your little black dress on New Years Eve- here are few super simple tips that will keep you feeling amazing all the way through. I don’t care what you do. Go for a walk, hit up a group fitness class, try something new! Get a friend a do a Nike Training Club app together, get a personal training session (with me! ), go for a jog or a hike, do a workout DVD at home, do a HIIT routine in your living room. You don’t need to spend hours working out. If you only have time for a 15 minute work out- that’s great! I just want you to do commit to do something SOMETHING big or small every day. (Unless you already have and intense workout schedule, obviously keep those rest days in there!) Not only will that one workout get your heart pumping, burn calories, flush you with those feel amazing chemicals- you are MUCH more likely to make healthier choices for the rest of the day, because you feel great. Not to mention it reduces stress and I’m sure we could all use a little less stress over the holidays. So, GO SWEAT! And here is a total body 12 minute HIIT for those days you find you haven’t done anything. Every single person reading this blog has a spare 12 minutes in their day and every single person can do this workout in the tiniest living room. Do this 2 x through. Whole body workout, 12 minutes… I dare you not to break a sweat! 2.) Drink water water water and more water. I want you peeing like every 10 minutes. Carry a water bottle with you and DRINK IT CONSTANTLY. Reduces hangovers. Clears skin. Keeps you full. Keeps you energized. Keeps headaches at bay. Why wouldn’t you? You need your rest for all those Christmas parties so you can be on top of your game. Get to bed at a decent hour and make sure you are getting your 7-8 hours every night! It’s for your HEALTH and sanity. Can’t stress the importance of sleep! Then you will have more energy for #1 (Sweat everyday). Do not, I repeat DO NOT starve yourself the day of a party to “save calories” for alcohol and snacks. Eat a healthy breakfast, lunch, and DINNER and then just enjoy the party and socialize away from the appetizer table! If you really want to indulge in some snacks grab a PLATE! You will feel much more satisfied if you grab a plate and see what you are eating all together than if you have a bite here and there all evening and never really realize what you’ve eaten. And you’re more likely to eat less when you feel satisfied! So grab a plate, get lots of veggies, get a small portion of what you really want, make sure you eat slowly and try and focus on the food so you enjoy it! This really helps cut down on overeating. 5.) Don’t be so hard on yourself! Go forth and conquer the holiday season with your health intact! I posted about the beginning of November about how the scale can really mess with your progress (you can check out the post here). I wanted to do a post about my experience with it because I found it to be incredibly helpful! As most of you know if you’ve been reading my blog regularly I am still recovering from Bulimia. I found going this past month without weighing myself to be so amazing in terms of my self-esteem and body image. I am feeling leaner, healthier, and I had way less bulimic episodes this month than usual! Another crazy thing I did along with chucking my scale out was consistently fill my house with “fear foods”. This is going to sound completely nuts to some people but bear with me for a sec! For those of you that have no idea what I’m talking about in regards to fear foods- it’s basically all the foods I’ve completely restricted myself having for a large majority of my life. Have you ever avoided having certain foods in your house because you know you will most likely eat them all in one sitting? Or you feel like you don’t have any “control” around certain foods? Well- I have a lot of these foods because I started going down this road at a young age- basically anything with sugar in it specifically ice-cream, chocolate, halloween candy, junk food, etc. I was incredibly scared to have these foods available in my house because I always remembered binging on it or overeating it when I was faced with it. I had denied myself these foods for so long during my eating disorder that I had a built up a lot of guilt and shame surrounding these foods and I could never feel quite normal around them. I constantly felt like I had no control over these foods and if I had ice-cream or chocolate in my house I would end up eating it all in one day because it felt like it was always taunting me and its all I could think about. If you have ever felt remotely like this around certain foods I suggest you try this little experiment! Think of that food that has a certain pull to you and you don’t really trust yourself around it. Now go buy TONS OF IT. The key is to have more than you could ever eat in one sitting available. If you just get one Reese’s chocolate peanut butter cup it’s still restricting yourself and you are never going to get past that feeling that the food is “special”. Now- you’ve stocked your house with allllll your favourite foods (that was fun wasn’t it? I admit i was a bit terrified I would run into a client in the grocery store and they would think- what the hell kind of nutritionist are you? I was worried about judgement even from my room-mate. But I knew that this was going to really help me in the long run. I don’t want to feel out of control around foods and I don’t want to deprive myself from delicious things!) I bought 2 different kinds of ice-cream, bulk chocolate, peanut butter cups, Oreo’s, M&M’s, you name it. I also bought tons of fresh produce and my regular healthy foods that I love. I got home and I put everything away. Now here is the tricky part. YOU HAVE TO GIVE YOURSELF UNLIMITED PERMISSION TO EAT THESE FOODS. You may think that as soon as you give yourself that permission you will start eating everything at once and never be able to stop. But guess what- once you TRULY give yourself permission the food loses that magical pull. Have you ever sat down and eaten an entire bag of apples in one sitting? Probably not! This is because you don’t have any guilt or shame built around apples- you eat them when you are hungry and you don’t feel compelled to keep eating them because they are “treat” and you swear just one more bite.. I’ll never have another apple again.. For a lot of people- they eat a bit of ice-cream and they think “I ruined everything! I might as well polish off this entire carton of ice-cream because I already blew my diet and I don’t want it in the house any more”. If you are relatively normal around foods and have never really experienced the dieting/binging cycle this may sound completely foreign to you. But I can tell you that I suffered with this for a LONG time. I was so obsessed with being perfect that if I ate too many calories I would immediately declare the day ruined and end up eating everything I was craving for the past 10 days in one sitting. So: Stock your house up with those foods that you love, and give yourself permission to eat them; whenever you are hungry. This is important. Listen to your hunger and fullness levels and try to avoid filling voids that are not actually hunger related. NO SHAME OR JUDGEMENT. As soon as you catch yourself judging yourself or feeling guilty for indulging in these foods you’ll be encouraging the cycle. Enjoy every bite and really feel HAPPY about your choice! And by the way this takes some time and will not happen on your first week! I still had binge episodes, I still caught myself feeling guilty for having some chocolate instead of fruit. But the more I changed my thoughts around these foods and surrounded myself with them and let myself have them whenever I was hungry the easier it got! The goal is eventually to think that an apple will have the same pull as a chocolate bar. They are both food. They are not “good” or “bad” they will not “make you fat” or make you “thin”. Food is food. I can tell you that now by the end of the month after consistently doing this I no longer feel crazy around these foods. A few times I actually FORGOT about the ice-cream and chocolate in the house which has never happened to me before! I can now just have these foods in the pantry and not feel tempted to eat them all the time. They are there if I want them but I don’t have to eat them and I don’t think about them. The first week or two was definitely difficult so don’t give up if you find yourself eating them all right away. This is part of the process. I had to restock several times over the course of the month and I was definitely doubting myself at some points- is this the way to go? Should I be stocking my house with crap foods? Doesn’t that just make me more likely to eat it? And the answer is NO. Now I can have a few chocolates or M&M’s and feel satisfied and happy. The old me would have eaten that entire carton of ice-cream mixed with the entire bag of M&M’s until I made myself sick. So maybe this sounds completely crazy but it’s a part of my recovery that I wanted to share with you guys. Food should not have any power over you. Food is food. And I know I’m not perfect and I will still overeat- but this little experiment combined with not stepping on the scale really made me feel like a totally sane person. I have more energy to hang out with friends and work and enjoy life instead of obsessing over food! I think that’s something everyone that has ever struggled with food needs to experience. Depriving of yourself of the things you love is only going to make you want it more! 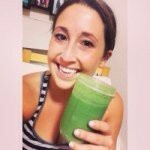 I hope this post was helpful for anyone that has ever struggled with the dieting binging cycle. I love exercise- do you? But if I don’t have any rules I won’t stop eating! I am a Binge Eater. New Year… New Cleanse, Detox, Diet? taraabrunet on I am a Binge Eater. fredriklux on I am a Binge Eater.